Luxury is all about looks and of course the first step for convincing us that a company is professional and capable of providing good quality replica watches is to have a very elegant appearance. Luxurywatcheshq.ca is the perfect replica store for this job. It looks very refined, very modern and trustworthy. Its friendly and easy to use design is very appealing both for inexperienced replica shoppers and for those who are already skillful at buying fake timepieces. The homepage is very simple and elegant. It has only one large banner showing a beautiful black Rolex Submariner, just like the rest of the site which is mostly black with considerable white accents. On the top menu bar there are only four buttons for Rolex Swiss, Breitling Swiss, Omega Swiss, Audemars Piguet Swiss and FAQ. And then there are the brands categories, these are very numerous and are listed in the left side of the page. 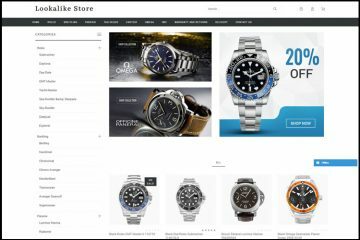 From here we can start browsing for the desired watch brands. What I have noticed is that all the available watches are Swiss made. It appears that this company does not sell Japanese replica watches. The brands are organized into sub collections and can be organized by price ascending or descending. This is sufficient to sort the desired designs and easily locate the one you are looking for. The prices for these replicas equipped with Swiss mechanisms vary between $400 and $700. The price depends on the complexity of the movement and on the materials used for manufacturing the watch. At first glance it might seem like a lot of money for a replica, but when you consider that this is just a fraction of the price of the genuine watch and that the replica looks and works just like the original one then this price might feel justified. I was surprised to see that the products do not have a description section with technical specifications. These just have a very long text that presents the Warranty policy, the FAQ and the shipping terms. The replica watches have numerous high quality images that present many small and important details of this products like the dial, the case, the buttons, the bracelet and clasp. Every angle of the replica is presented in the pictures so that the customers can see how accurate these products are. The company is able to process payments by Visa and by Mastecard which is really impressive. Only the most stable and reliable online replica watches stores can accept these two credit card options. I always prefer to pay by card on the Internet because I am sure that my bank will always have my back no matter what happens. Luxurywatcheshq.ca ships most orders by EMS and the estimated delivery time is 7 business days. The orders can be shipped worldwide and the delivery is free. All orders are shipped with a tracking number that is sent to the customer by email so he can follow the progress of the shipment online. 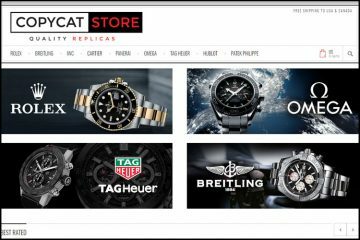 The company offers a 3 days return policy, meaning you can choose to send the replica watch back and request a refund or a replacement. Also, all fake timepieces come with a one month repairs warranty. If the watch has any manufacturer’s defect you can send it back and the company will repair it for free. Of course, the customer is liable for all return fees. Customer service is the most important aspect of buying a product online. Before submitting an order you must confirm that the company is easy to reach and that it has a very friendly and professional customer support department. 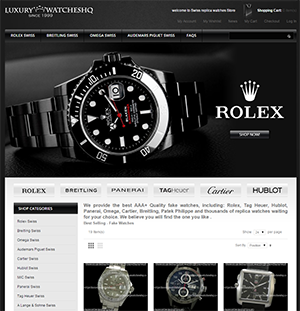 LuxuryWatcheshq.ca can be reached only by contact form. I advise you to test its responsiveness before ordering a replica watch. 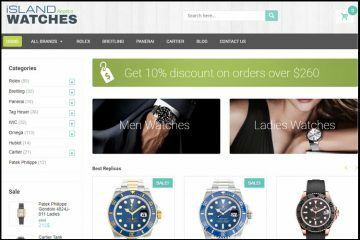 LuxuryWatcheshq.ca is the type of company that impresses you by its looks and by the complexity of the services it provides. 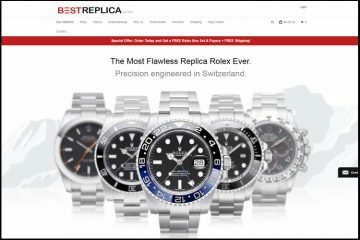 Except the fact that it is one of the few online replica watches companies that focuses on selling Swiss timepieces, it offers very accessible payment options, free delivery, refund policy, free repairs warranty and a very wide selection of fake designer watches.